Russian cybersecurity firm Kaspersky Lab on Tuesday filed an antitrust complaint against Apple with its home country's Federal Antimonopoly Service, alleging the tech giant's tight control of the iOS App Store amounts to monopoly power. Apple reportedly forced Kaspersky to remove elements of its "Safe Kids" app after announcing Screen Time in iOS 12. Outlined in a post to its official blog, Kasperky's FAS filing relates to Apple's strict App Store policies, guidelines the iPhone maker allegedly leveraged to hinder distribution of an app that competed with features offered in iOS 12's Screen Time service. According to Kaspersky, Apple blocked the firm's eponymous "Safe Kids" app from distribution on the App Store on grounds that it violated paragraph 2.5.1 of the App Store Review Guidelines. Listed under the broader "Software Requirements" category, section 2.5.1 calls for apps to use only public APIs and run on the currently shipping operating system. "Apps should use APIs and frameworks for their intended purposes and indicate that integration in their app description," Apple's guidelines read. Specifically, Apple took issue with Kaspersky's use of configuration profiles governing app control and Safari browser blocking. The tools allowed Kaspersky to restrict app usage based on App Store age restrictions and hide all installed web browsers save for a secure version built into the Kaspersky Safe Kids app. 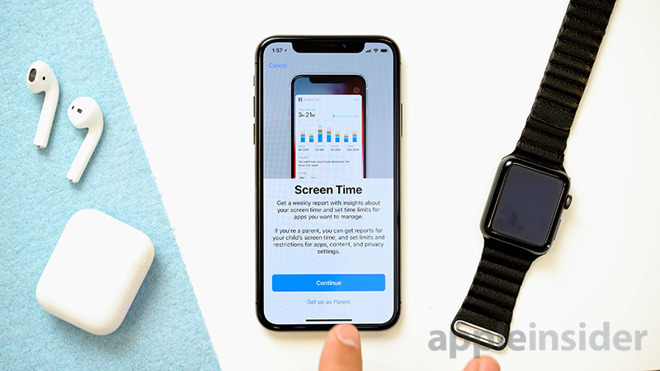 Apple's decision arrived shortly after Screen Time was announced at WWDC 2018, Kaspersky said, adding that Kaspersky Safe Kids had passed through the App Store review process unscathed for nearly three years. "From our point of view, Apple appears to be using its position as platform owner and supervisor of the sole channel for delivering apps to users of the platform to dictate terms and prevent other developers from operating on equal terms with it," Kaspersky said. "As a result of the new rules, developers of parental control apps may lose some of their users and experience financial impact. Most important, however, it is the users who will suffer as they miss out on some critical security features. The market for parental control apps will head toward a monopoly and, consequently, stagnation." Apple's management of the App Store is under scrutiny by a number of governmental antitrust agencies around the world. Earlier this month, Spotify again leveled claims of monopolistic practices through a complaint filed with the European Commission. The streaming giant argues Apple creates artificial barriers to limit third-party services that compete with first-party products like Apple Music. Apple issued a response to Spotify's claims last week, saying the complaint is financially motivated.